In shallow glass or plastic dish or resealable food-storage plastic bag, mix all ingredients. Add about 1 pound fish, 1 pound boneless chicken, about 3 1/2 pounds bone-in chicken or about 1 pound seafood; turn to coat with marinade. Cover dish or seal bag and refrigerate at least 30 minutes but no longer than 24 hours. Remove meat from marinade; reserve marinade. Grill meat as desired, brushing occasionally with marinade. Heat remaining marinade to boiling to serve as sauce with grilled meat. As a general rule, marinate fish fillets, seafood and vegetables about 30 minutes, pork chops and chicken at least 1 hour and larger meat cuts up to 24 hours. 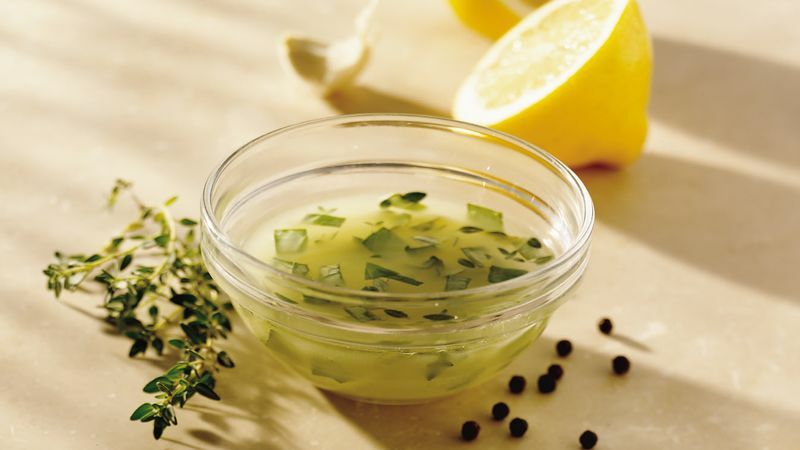 Turn the food once or twice during marinating time, so the marinade can reach all surfaces. To use the leftover marinade as a sauce, boil it 1 minute to destroy any bacteria that may have been transferred back and forth when the marinade was brushed on the uncooked meat.